If you love poker, and want to play legally in Texas join Full House Card Room. 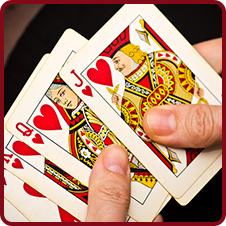 We offer a fun, rake-free safe place to play your favorite card games. 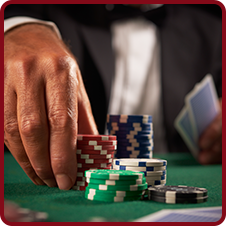 We work within the Texas State Legislature's rules for card houses in order to offer you a place to play for your favorite game in a fun and safe environment, whether it is Texas Hold'em, Omaha, Seven-Card Stud, or Congress. Our poker club has weekly tournaments, and daily cash games including no-limited Texas Hold'em, Pot Limit Omaha, Congress, Big Mitt, 5 and 7 Card Stud, and many others. We are a BYOB establishment. We offer a secure environment to play that has an on-site security guard, and a state of the art security system with over 20 cameras to monitor play. We follow official World Series of Poker rules for all of our games. We also offer daily buffet options, a sports lounge with HDTVs, and more for our members — and we make it easy to join. Call us for more details or to learn more about the different poker games we provide. 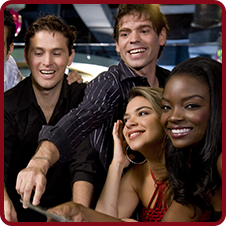 Our mission is providing a fun and safe environment for people to play poker legally in Texas. Sunday , 1:00p.m. - 5:00a.m. Monday - Wednesday, 12:00 p.m. - 5:00 a.m.